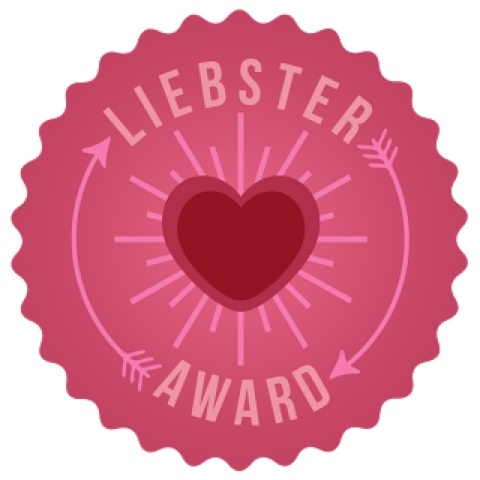 I'm happy to say that I've been nominated by the lovely Katie, Ellen and Lottie for a Liebster Blog award.If you are unsure as to the what the Liebster award is, it's a way to give new bloggers with less than 200 followers a chance to get more recognition, to help their blog grow and so your followers can learn a little more about you. If you get nominated then you must answer the 11 questions your nominator has given you, write 11 random facts about yourself, nominate another 11 blogs that you truly feel deserve it and leave them 11 questions to answer! 2. You must answer the 11 questions given to the nominee before you. 3. You pick 11 nominees with under 200 followers to answer your questions . 4. You cannot nominate the person who has nominated you. 5. You must tell the nominees that they have been nominated by you. 1) If you could have a magical power for 1 day, what would it be? I'd love the experience of flying, however I'd have to choose appearing money. 3) If you could only eat one thing for the rest of your life, what would it be? Pasta- pasta bakes are heaven. Battenberg cake- It's soooo delicious. 5) Number one reason you started your blog? I really like the idea of being able to write about the things I love. 6) If you could start over, what would you change about your blog? I would have wanted to know what my ambition in my blog was, I wasn't too sure when I started my blog. 7) Make-up item you can't live without? 9) Favourite type of blog post? Reviews of products I have/planning on purchasing. My silver 'A' necklace that I never take off, it's so sweet and simple. 11) Where do you see your blog in 2 years? 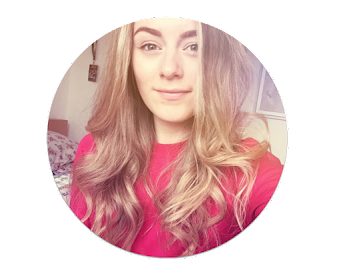 I really want to see my blog being known to people, to be handy, helpful and inspiring to others just like Zoella and Tanya Burr's are to me. I was really inspired by other blogs. 2) Favourite thing about being a blogger? I love being able to let my creativity out onto my OWN website. 3) Favourite high street store? 4) Do you have an ambition in life, what is it? I really want to be recognised by people. I definitely have more than one favourite bloggers. YouTubers- JoeyGraceffa, TroyeSivan18, Zoella280390, shane, ThatcherJoe, SawyerHartman and danisnotonfire. The novel I recently read, The Perks Of Being A Wallflower. 7) If you could spend £1000 on only one type of thing (e.g makeup, clothes, books, music) what would you choose to spend it on? 8) If you could go anywhere in the world, where would you go? Iceland and LA are at the top of my list at the moment. 9) Who is your inspiration/role model? For my blog-Tanya Burr, Zoella and my sister. 10) What is your favourite type of blog post? 11) If you could have one wish, what would you wish for? This took some thinking about... I would wish to be able to meet all of my favourite celebrities because I love meeting celebrities. 12) If your home was on fire, and you had 60 seconds to grab what is most special to it, what would it be? 1) If you could go to one place where would you go? 2) What's your favourite make-up products? That's tough, there's so many. Either my Givenchy mascara or the Bourjois Colour boost lip crayons. 3) If you could choose one shop to shop at where would you shop? 4) What's your favourite high-end make-up brand? 5) What's your plan for the future? I honestly don't know, I'm just taking it one step at a time. 6) Favourite celebrity for fashion? Kim Kardashian, Kylie Jenner and Lana Del Rey. 7) What made you want to start a blog? To pick one, probably Joey Graceffa. 9) Favourite memory as a child? 10) If you could give advice to a teenager what would it be? Apart from 'don't do drugs', probably start a blog and express the things you love. 11) Who do you look up to the most and why? My sister, she has been so successful with her blog. 1) I have a tuxedo cat called Pepsi, I love him. 2) I LOVE the smell of rose water. 3) I can speak German. 4) In a recent awards ceremony I won 12 awards. 5) I hate spicy foods. 6) I used to collect (pig) piggy-banks of all shapes and sizes. I now only have 1. 7) The 'hot pink' paint colour on my walls was made to match the back of the decorative cushions on my bed. 8) I've been to London, Paris, Milan and Madrid. 4 of the fashion capitals. 9) I'm a fan of the British soap, Hollyoaks. 10) I love the Twilight films. 11) I have 4 chinchillas. My mum used to breed them, at one point she had 21!! 1) What's the most recent thing you bought? 4) Favourite item of clothing? 5) Favourite TV show and why? 7) Favourite thing in your make-up bag? 8) What's your favourite way to kill time? 9) Where's your favourite place? 10) Do you have a pet, if so what is it? Thank you for reading, I know it's been such a long post. And thank you to those who nominated me. Loved your answers! Iceland isoneof the places i would want to go aswell! Aw I loved reading this! Looks like we have the same people who inspire us haha! Thanks for nominating me I did the post a few minutes ago!